EVOline Add on products are indispensable EVOline systems. EVOline Add-on products are really indispensable to complete functionality of the EVOline systems. 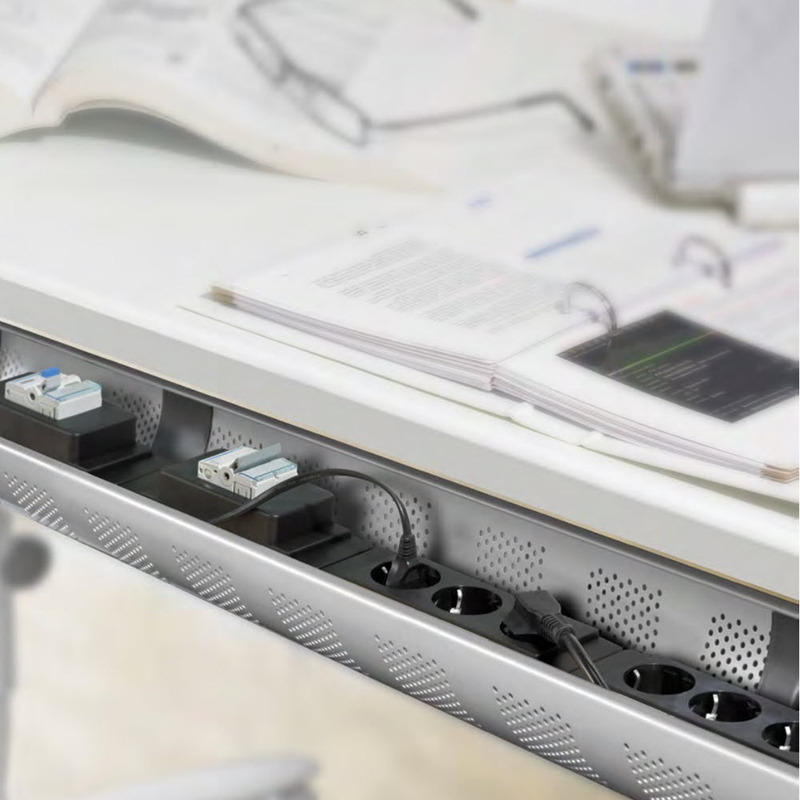 From accessories for mounting, via cable management up to EVOline express series and EVOline rail. 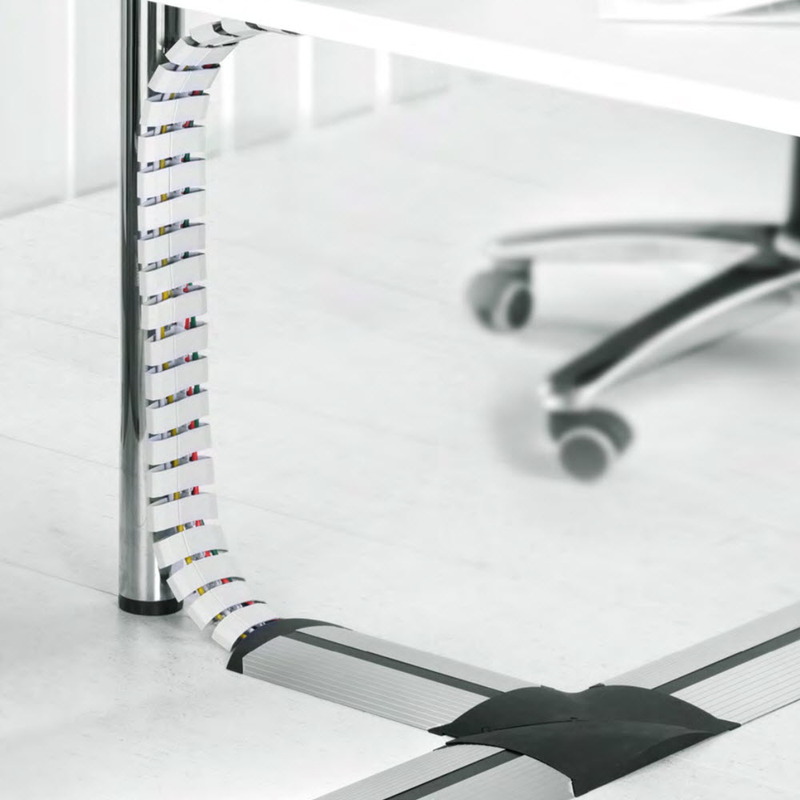 They all supplement the EVOline systems to create a total solution for your office or home. The EVOline add-on parts don’t just bring one single solution. There are several options for mounting or as a cable guide. For mounting, there are plastic mounts in black and white. 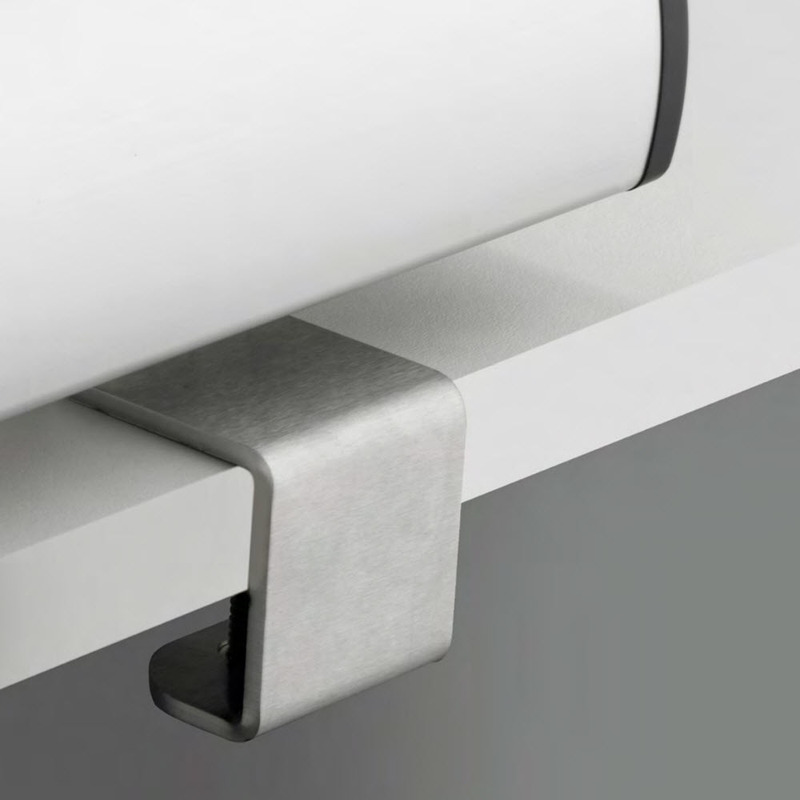 There are also very durable solid stainless steel versions and then there is a very clever solution combining mounting and cable guide into a single system: the EVOline Quicklock. EVOline Kinetics modules make it possible. Touching the switch with a finger generates enough energy to send an encoded wireless signal as far as 30 meters in enclosed spaces. 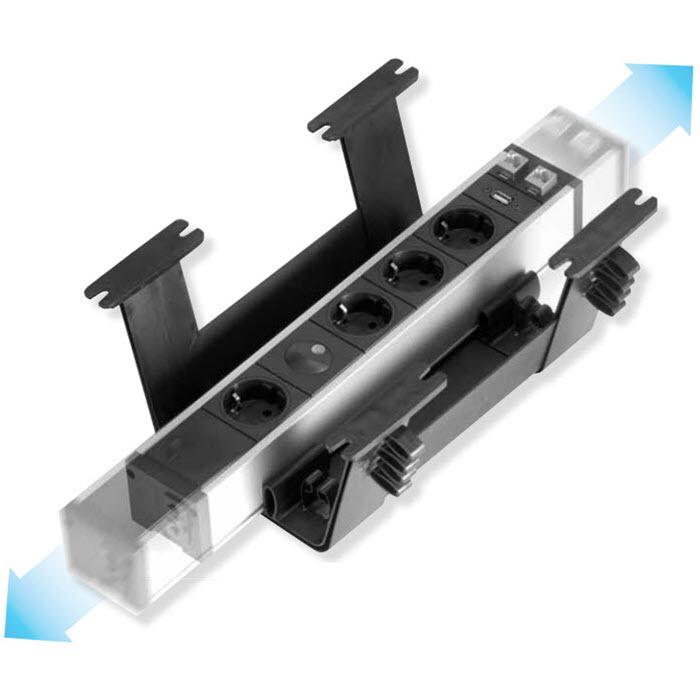 The EVOline receiver can be integrated into our products to switch electrical sockets. 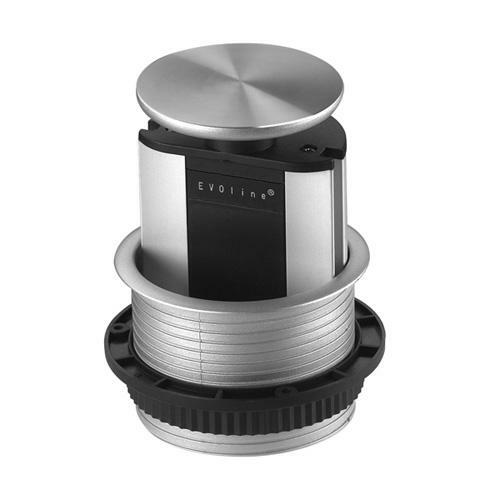 The transmitters can also be installed in EVOline products. Alternatively, they can be freely positioned with a mounting frame.